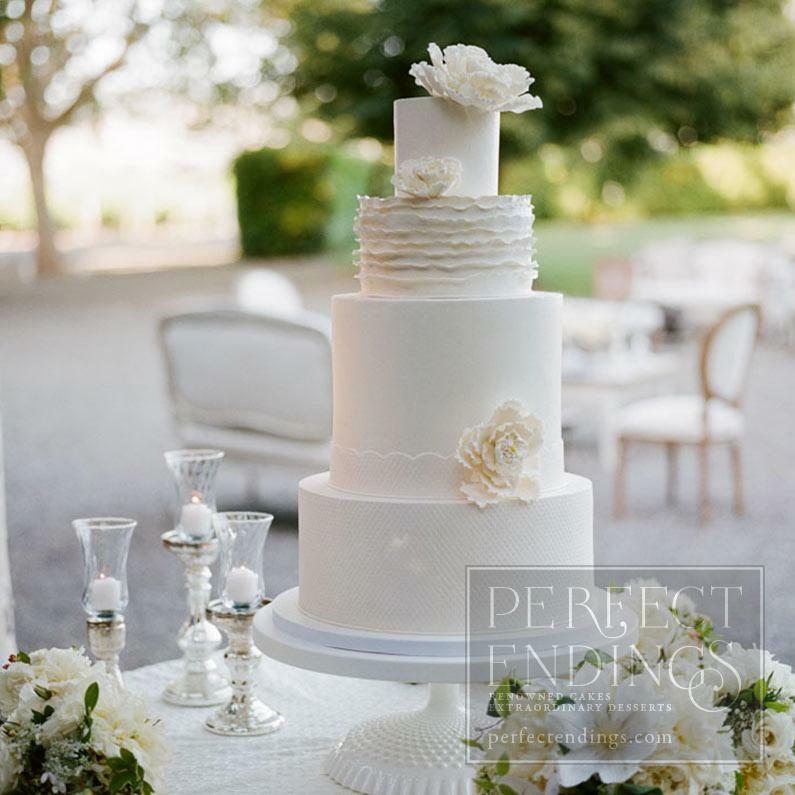 Be it simple and elegant or lavish and grand, no other dessert compares in stature to an exquisite wedding cake. 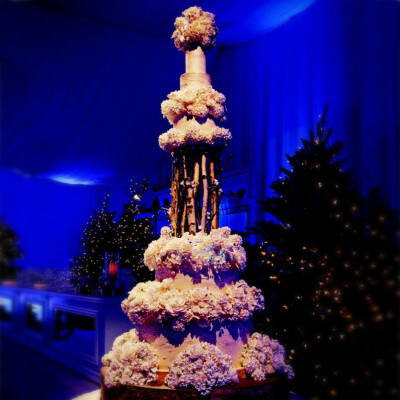 Creating memorable masterpieces, ones that taste every bit as good as they look, has become our most cherished trademark. 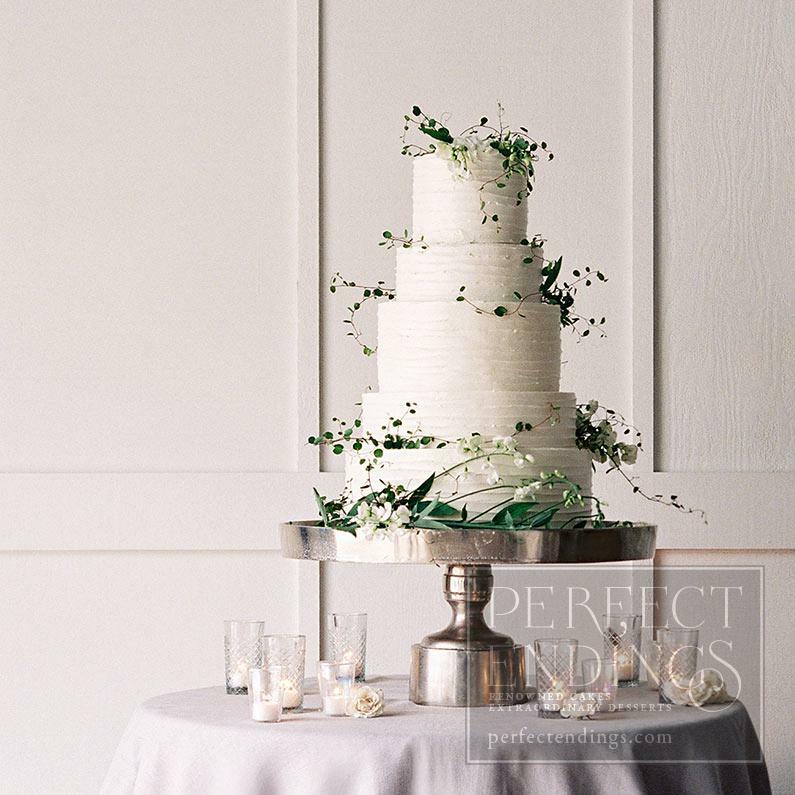 My favorite wedding cakes are those that reflect a subtle sophistication; where whimsy, artistry or drama is achieved with precision and restraint. Cakes whose flawless exterior is surpassed only by a superb interior…those composed of exquisite American, French and Belgian chocolates, artisanal butter, hormone-free milk and cream straight from the dairy, and sun ripened fruit at the height of its season. 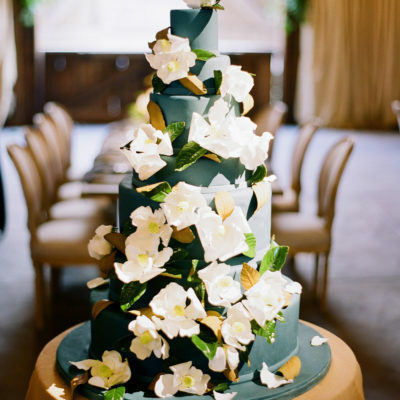 First and foremost, the ultimate wedding cake must be an extraordinary dessert. This means no mixes, nothing artificial, absolutely no compromise. Imagine a moist, intensely chocolate cake alternately layered with house-made fleur de sel caramel and luscious chocolate truffle cream. Or, perhaps, an old-fashioned layer cake infused with refreshingly tangy organic lemons, and studded with plump berries picked that morning. 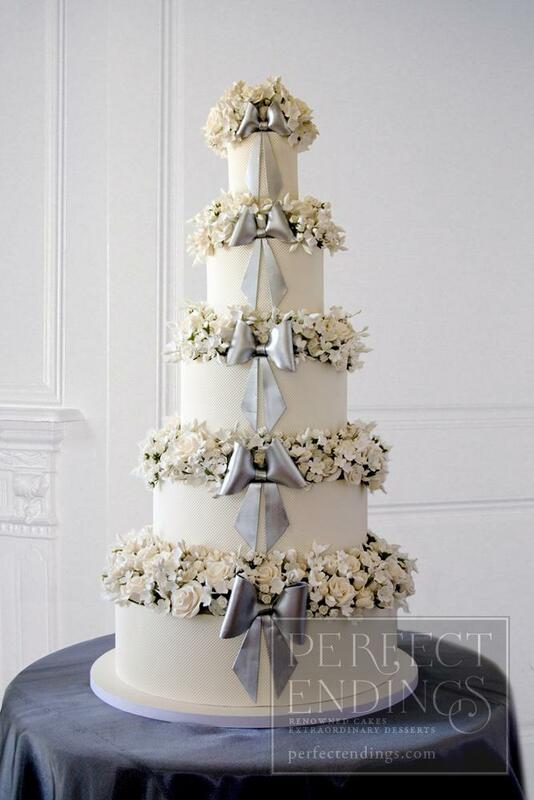 Imagine your cake is not a replica from the pages of trendy wedding magazines, but rather a glorious work of edible art designed especially for your day, reflecting your taste and style. 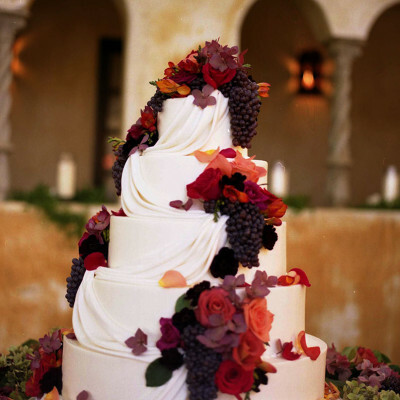 Whether it is light and fruity, sentimentally vintage, or seriously chocolate (and I mean serious! 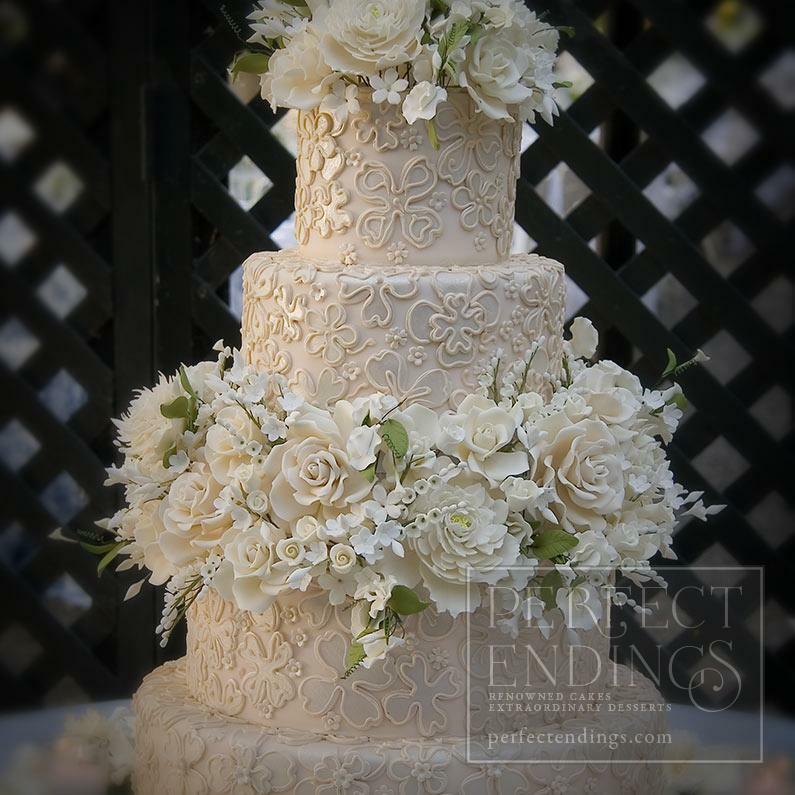 ), we are committed to designing the wedding cake of your dreams; one that will highlight the reception, be devoured in its entirety, give ’em something to talk about. 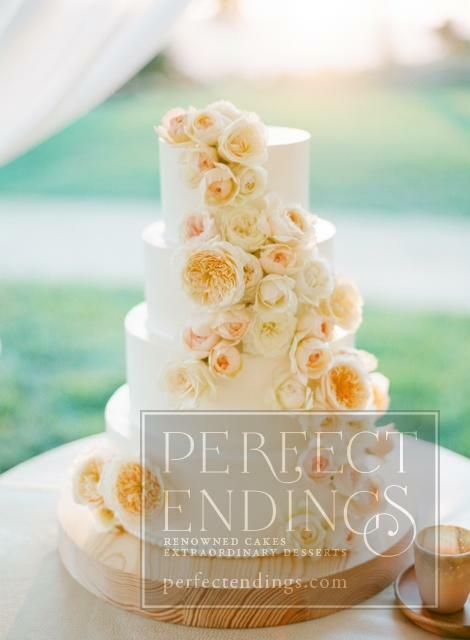 After all, your special day deserves a Perfect Ending! For those people who feel it just isn’t dessert unless it’s chocolate! 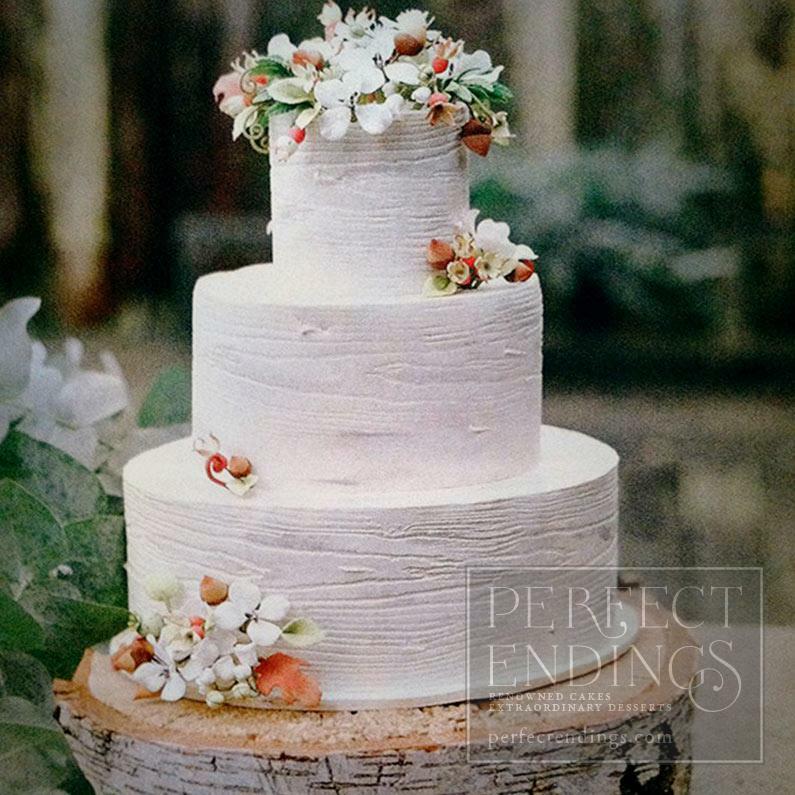 Layers of house-made caramel, toasted pecans and bittersweet chocolate…the cake that put us on the map! No frills, no fuss…the iconic American chocolate layer cake…get milk! Americana 101…Traditional layer cakes like ‘mama’ used to bake! 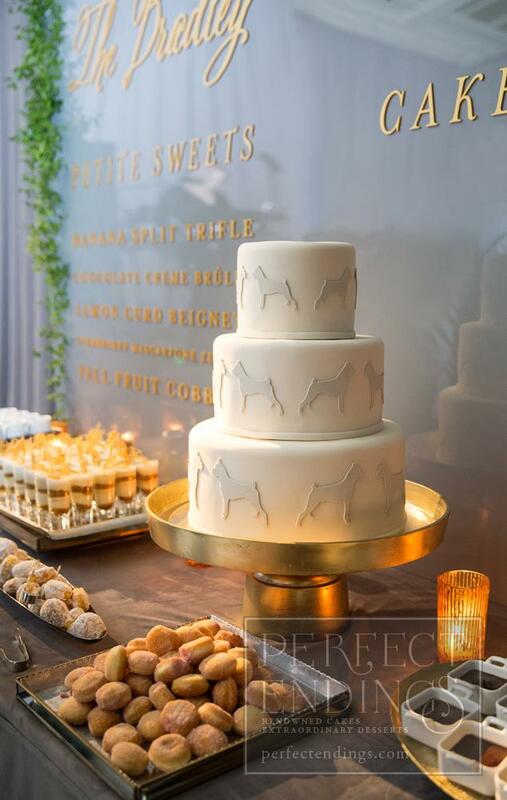 The Southern classic features layers of moist butter cake, fragrant with coconut and Tahitian vanilla. Buttermilk pound cake filled with our own crushed raspberry preserves. 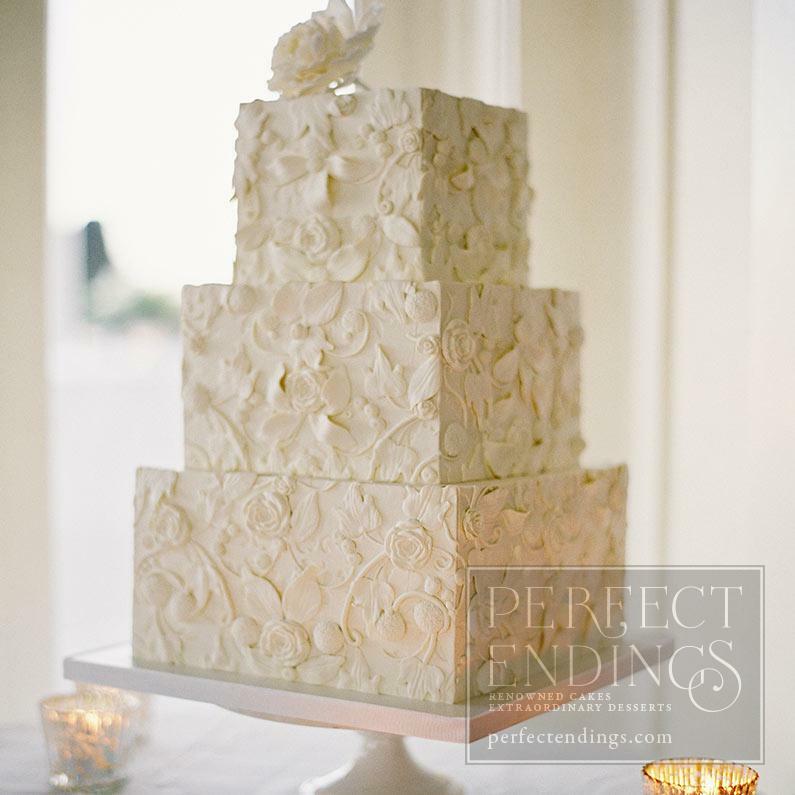 Scarlet red layers lavished with vintage vanilla frosting…the legendary southern favorite! Nice and light… and worth a second slice! 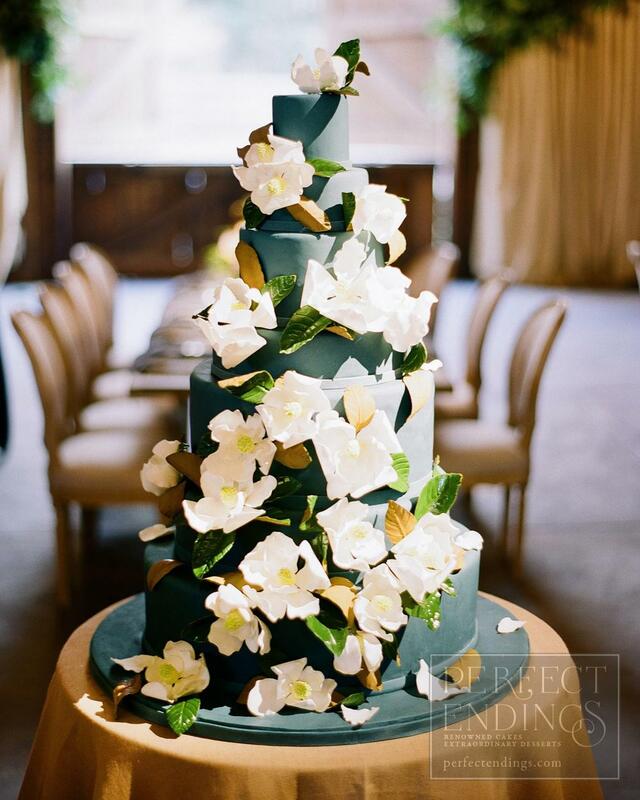 Multiple layers of glorious chocolate…for those who prefer it slightly less serious. Delicate sponge cake, silken white chocolate and organic berries. Our wedding cakes are priced from $13.00 per serving for a simple design with minimal décor. Cakes with more detailed design elements can range from $15.00 to $25.00 per serving and beyond. 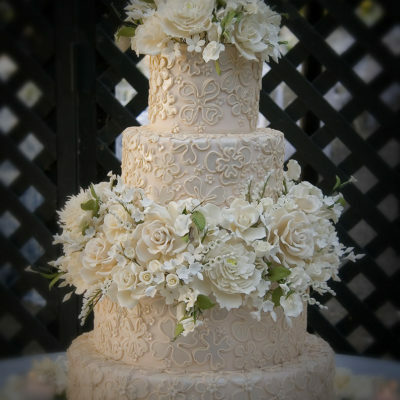 There is a $750.00 minimum for all wedding cakes. 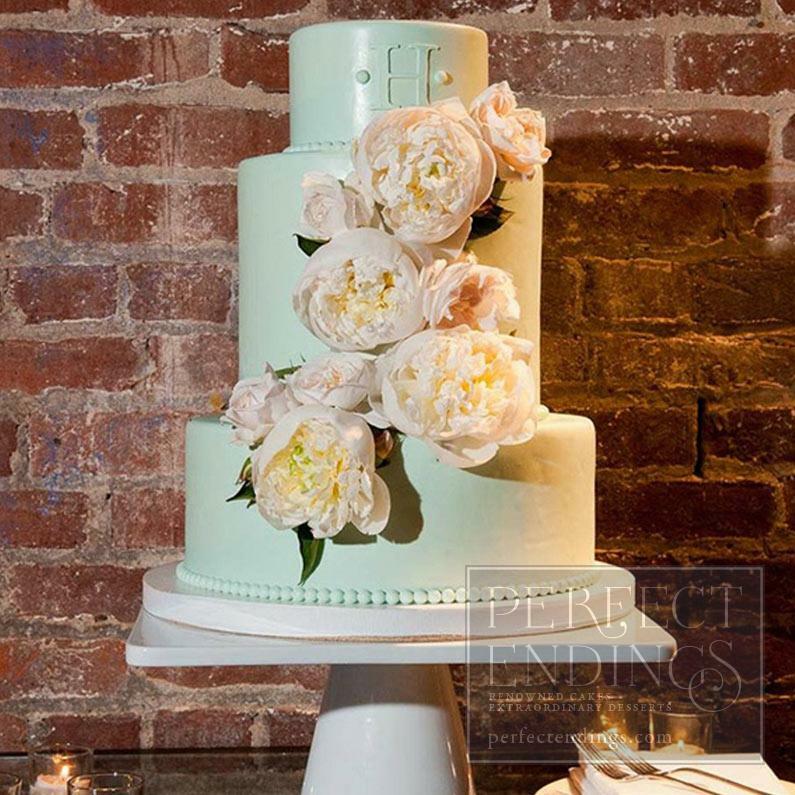 Our Elopement or small presentation cakes serve 20 people and are priced at $260. 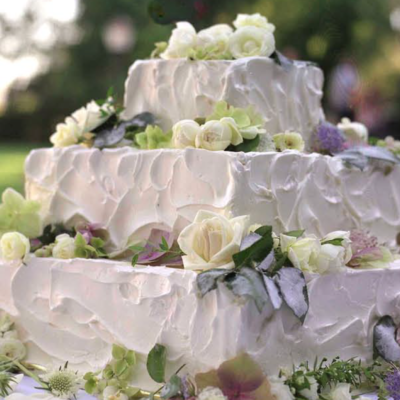 Delivery fees are not included in the base price of the cake. The final price of your cake is determined by the design, number of servings and the delivery/set-up requirements. 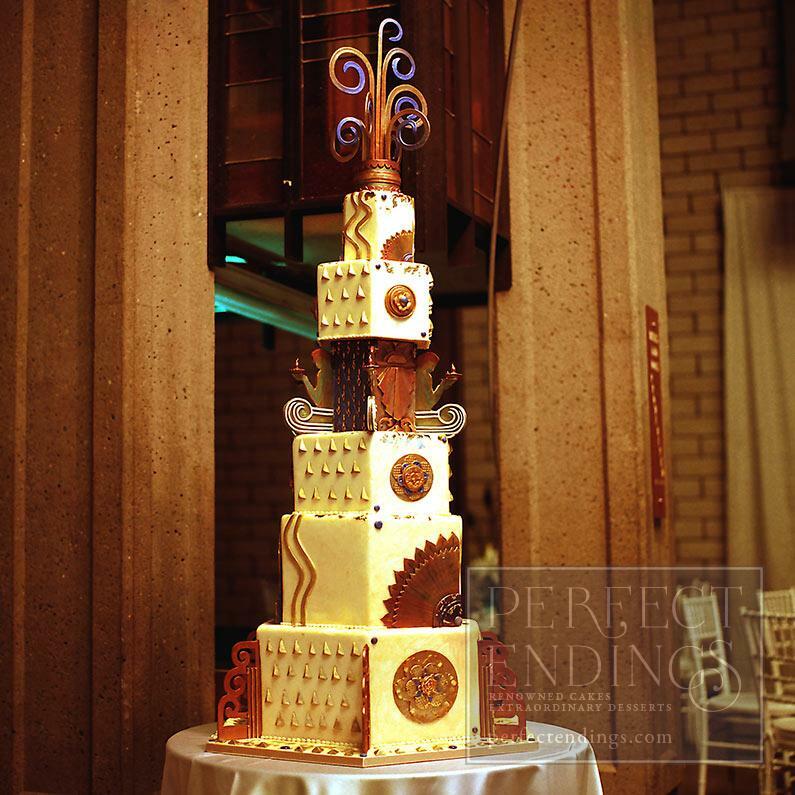 We will provide you with a written estimate once your cake design is confirmed. May I sample your work? Absolutely! 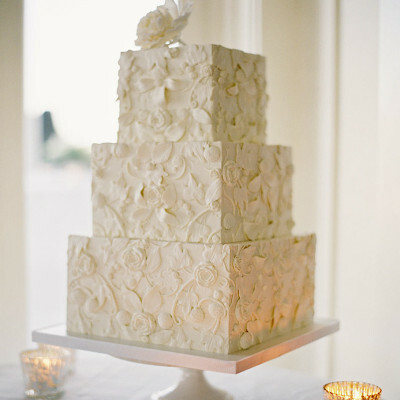 We invite each couple and two guests to a consultation where you will sample a variety of cakes and view our portfolio. 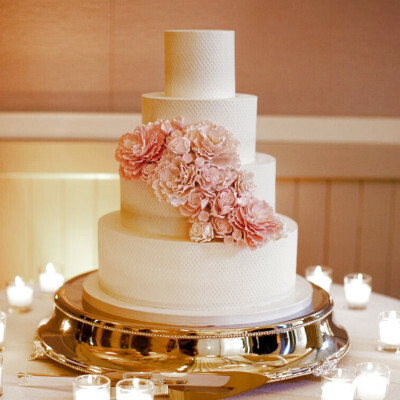 Our goal is to plan your cake entirely when we are with you, so we advise you to bring in any material or images that will help us understand your vision. Please note that we can accommodate a maximum of four people at the consultation. We require advance notice for additional guests and there is a $25.00 fee for each additional person, which is not applied to the cost of your cake. Are there any requirements prior to scheduling a consultation? A nonrefundable fee of $50 is required to confirm your consultation. 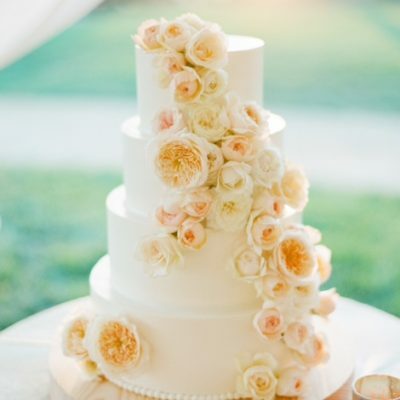 This fee will be applied to the cost of your wedding cake if you order it within one month from the date of your consultation. Due to limited availability, this fee will not be refunded or applied if you miss your scheduled appointment or fail to cancel it with a minimum of 48 hours advanced written notice (via email.) We will acknowledge all timely cancellations via email within one business day. 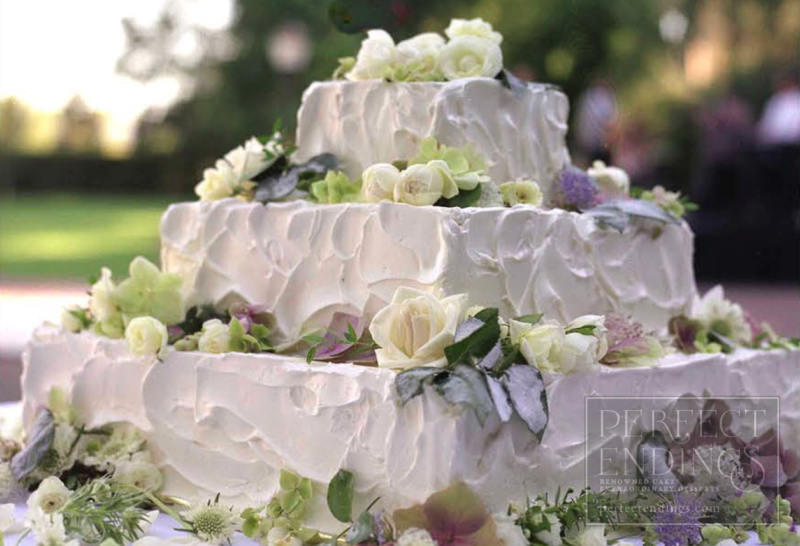 Additionally, we require that you provide us with your overall budget for the wedding cake prior to scheduling your consultation. 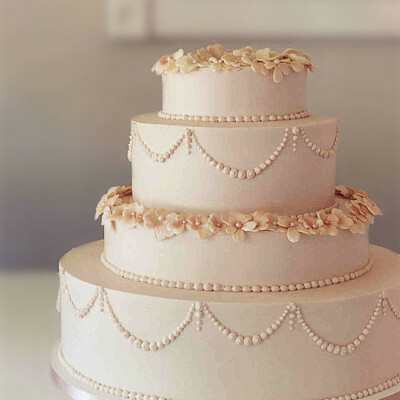 Consultations for elopements are $100.00, with 50% to be applied to your cake if you confirm your order within 30 days of the consultation. This fee in nonrefundable if we do not receive a minimum of 48 hours notice of cancellation. A nonrefundable fee of $100 is required to confirm your consultation. 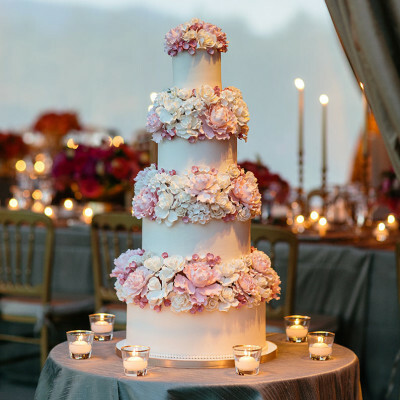 This fee will be applied to the cost of your wedding cake if you order it within one month from the date of your consultation. Due to limited availability, this fee will not be refunded or applied if you miss your scheduled appointment or fail to cancel it with a minimum of 48 hours advanced written notice (via email.) We will acknowledge all timely cancellations via email within one business day. Additionally, we require you to provide us with your overall budget for the wedding cake prior to scheduling your consultation. May I supply design ideas? 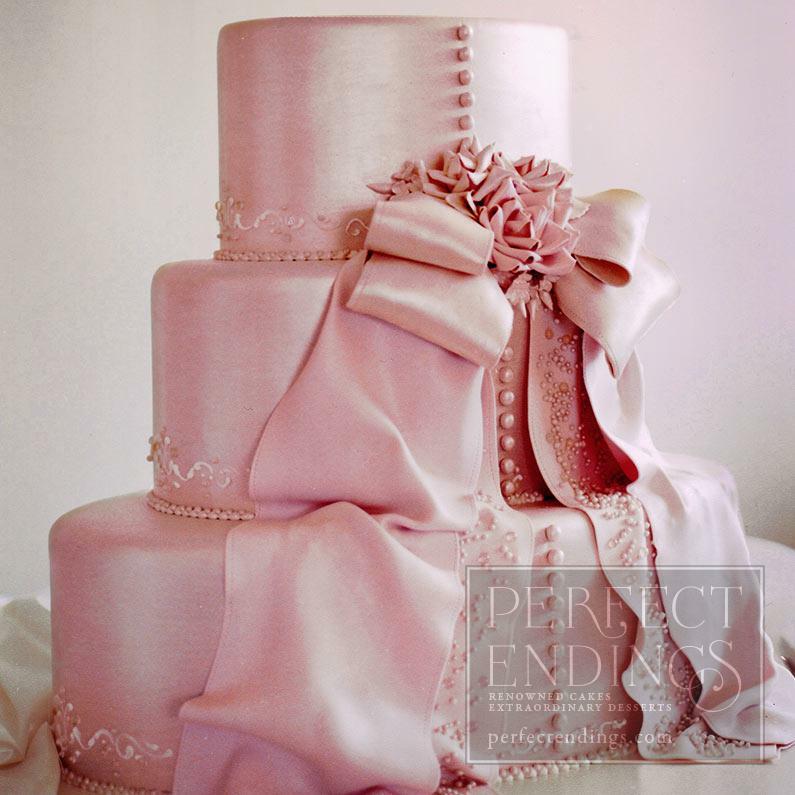 We love collaborating with our clients, as the cake should absolutely reflect your taste and style. We have a portfolio of original designs so that you can evaluate our skill and possibly be inspired by choices others have made. 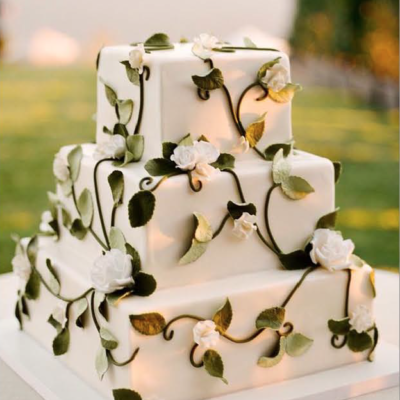 You may select one of these designs or elect to have us create an original cake for your special day. Out of respect to our colleagues and our desire to be unique, we do not replicate cakes that have been made by other cake designers, published in magazines, or seen on television. We encourage you to bring in photos or any visual aids that you feel will assist us in understanding the style of cake you desire. We regret that on rare occasions there are some design requests that we cannot fulfill. We do not supply sketches or design ideas until your order is confirmed with a nonrefundable /nontransferable deposit. 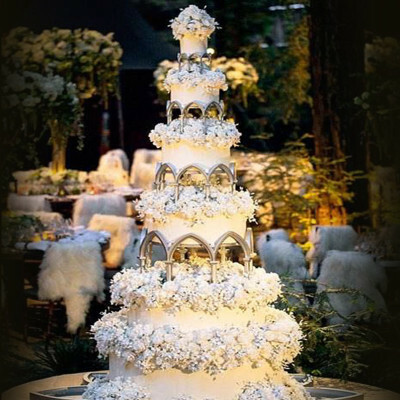 It has been our privilege to successfully deliver our wedding cakes locally and throughout the United States, Europe, South America and Asia. The fees for delivery are determined by distance, method of transport, carrier, handling and set-up requirements. 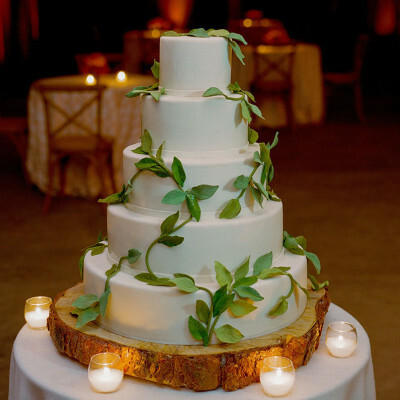 Rest assured, we will get the cake from our oven to your table…no matter where you are in the world! 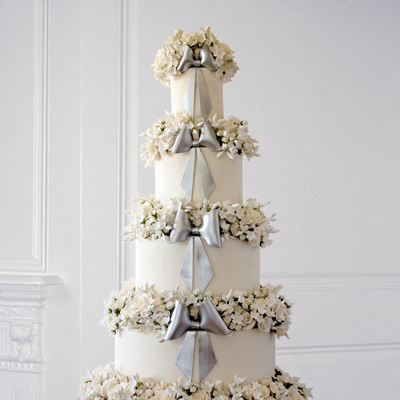 Yes, we decorate our cakes in their entirety. 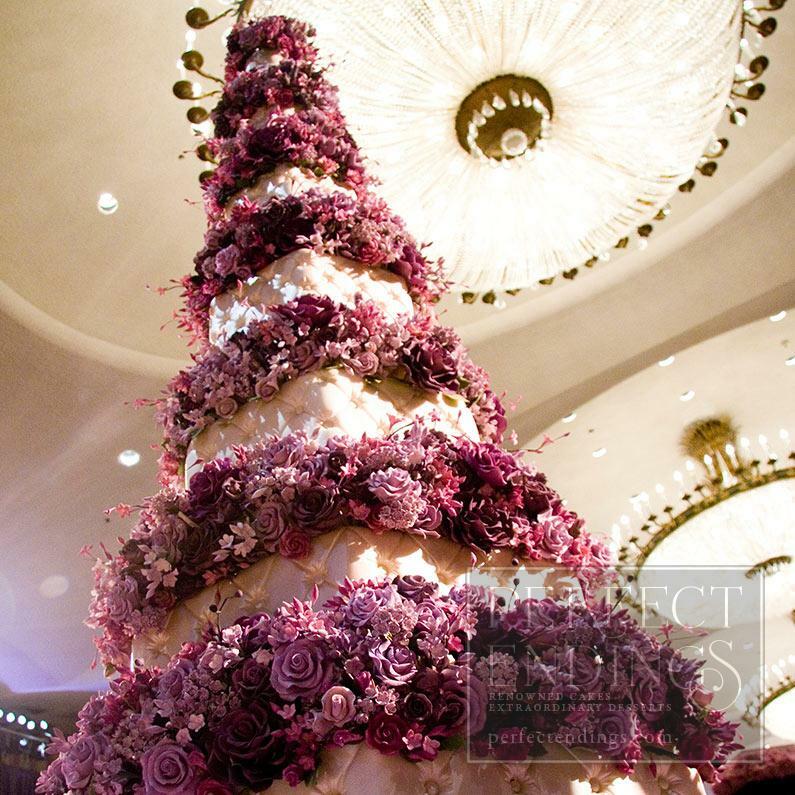 We request that you supply us with a list of preferred flowers and we will incorporate them into the design. 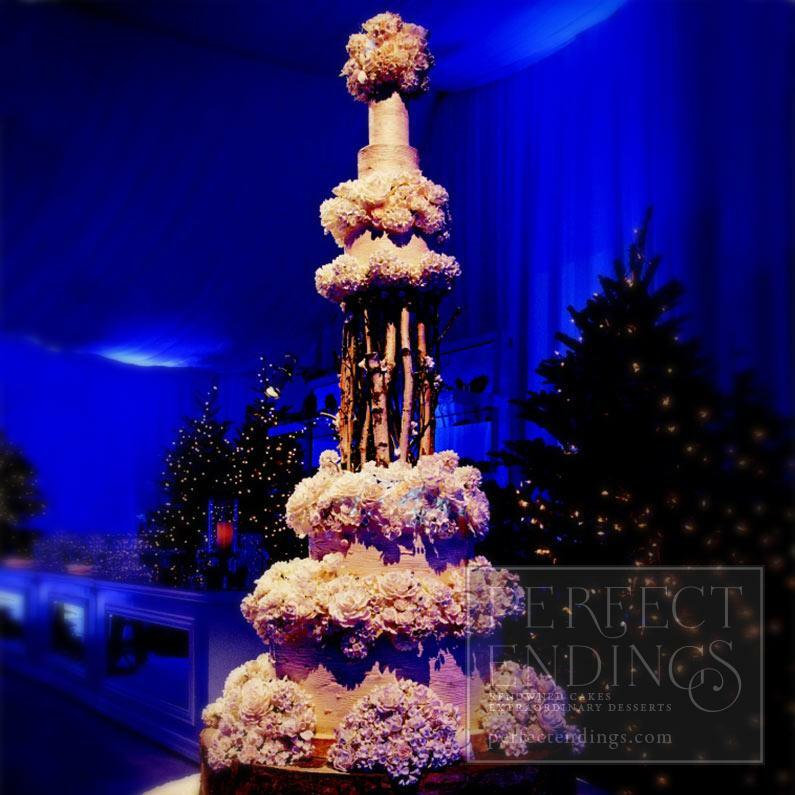 We use botanically correct hand sculpted flowers made from sugar and a limited variety of non-toxic fresh flowers to your specifications. You may place your order at any time. 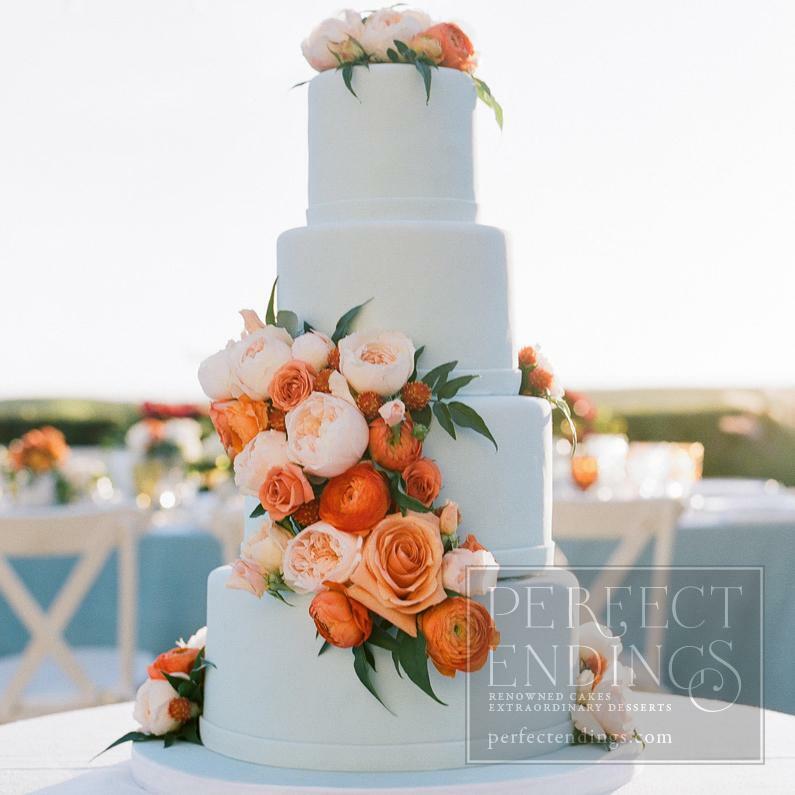 Our peak season for weddings is April through October. In order to maintain the uncompromising standards that have become our trademark, we often limit the number of events that we accept to fewer than ten per weekend during this period. Ordering a minimum of four to six months in advance is highly recommended. In order to reserve your date, a 50% deposit is required. All deposits and payments are nonrefundable and nontransferable. 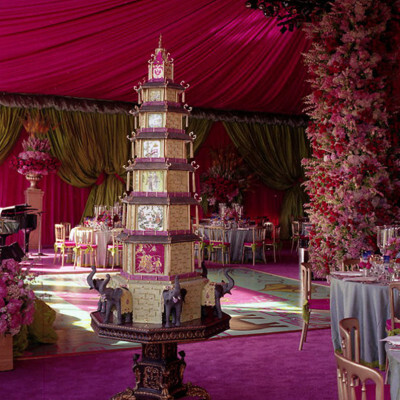 Reservations are taken on a first come, first serve basis. If your date is nearly booked before you have an opportunity to meet with us, or if you want to secure our services and meet later to finalize details, we suggest that you send a deposit to hold your reservation. 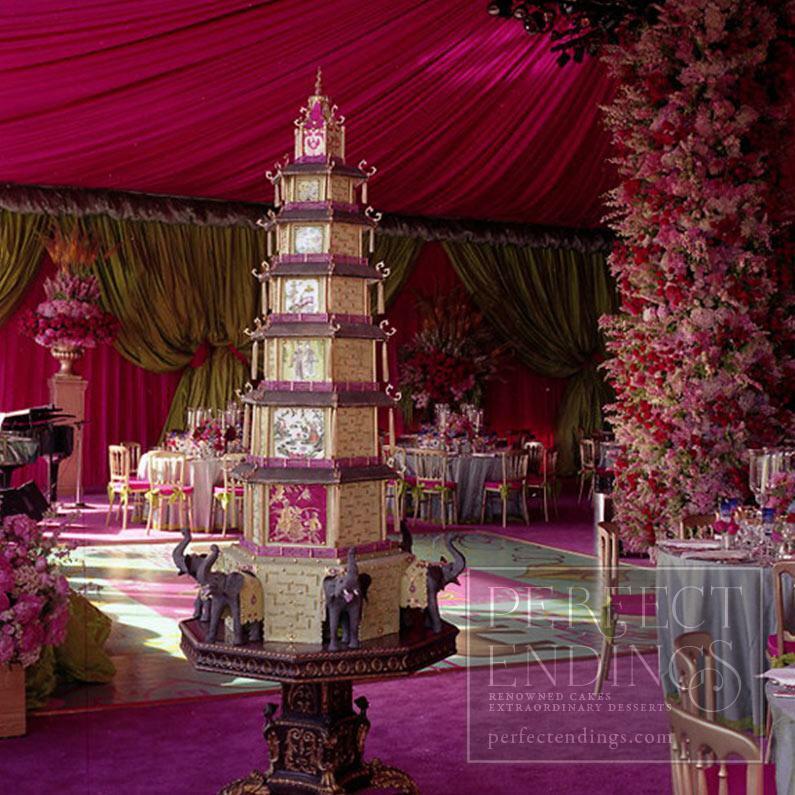 In most instances final design details are not due until one month prior to the event. Proposals are subject to change after 30 days. 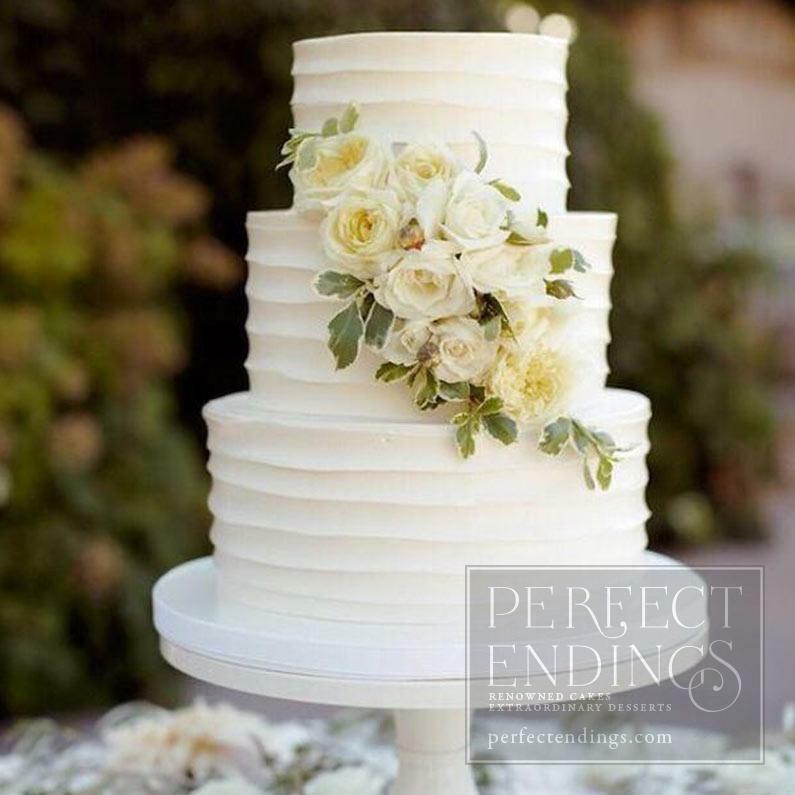 Who referred you to Perfect Endings? Please list three dates that would be convenient for you to meet with us. 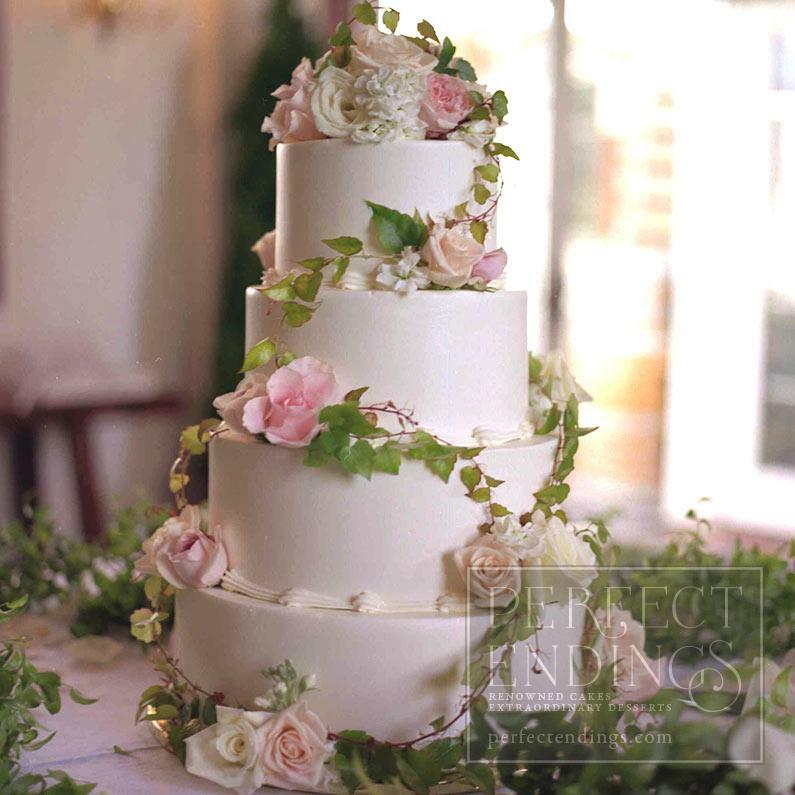 We invite each couple and two guests to a consultation where you will sample a variety of cakes and view our portfolio. 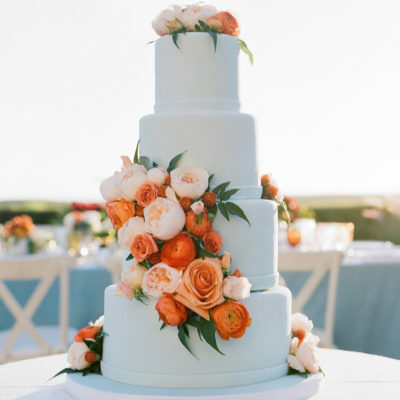 Our goal is to plan your cake entirely when we are with you, so we advise you to bring in any material or images that will help us understand your vision. Please note that we can accommodate a maximum of four people at the consultation. 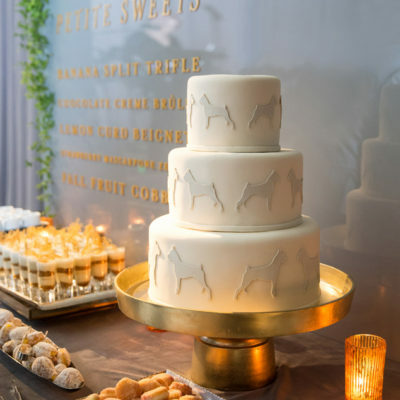 We require advance notice for additional guests and there is a $25.00 fee for each additional person, which is not applied to the cost of your cake. A nonrefundable fee of $50 is required to confirm your consultation. This fee will be applied to the cost of your wedding cake if you order it within one month from the date of your consultation. Due to limited availability, this fee will not be refunded or applied if you miss your scheduled appointment or fail to cancel it with a minimum of 48 hours advanced written notice (via email.) We will acknowledge all timely cancellations via email within one business day. 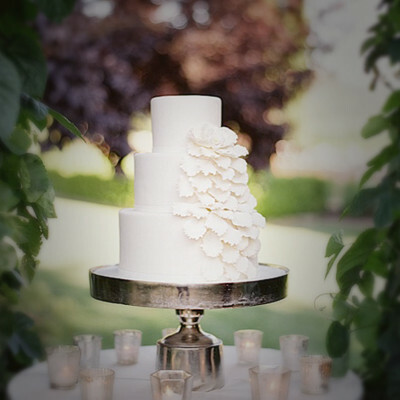 In addition, we require you to provide us with the amount you have budgeted for your wedding cake prior scheduling a consultation. 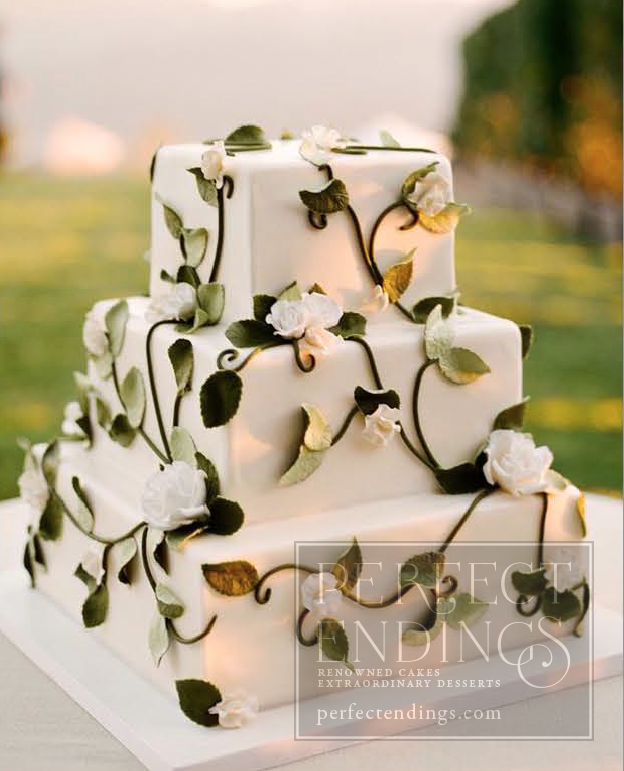 Consultations for elopements are $100.00, with 50% to be applied to your cake if you confirm your order within 30 days of the consultation. This fee in nonrefundable if we do not receive a minimum of 48 hours notice of cancellation. By typing your initials on the line above, you are acknowledging that you have read the "Scheduling a Consultation" information above and authorize Perfect Endings to charge your credit card in the event that you miss your scheduled appointment without the required notice. Thank you for considering Perfect Endings!